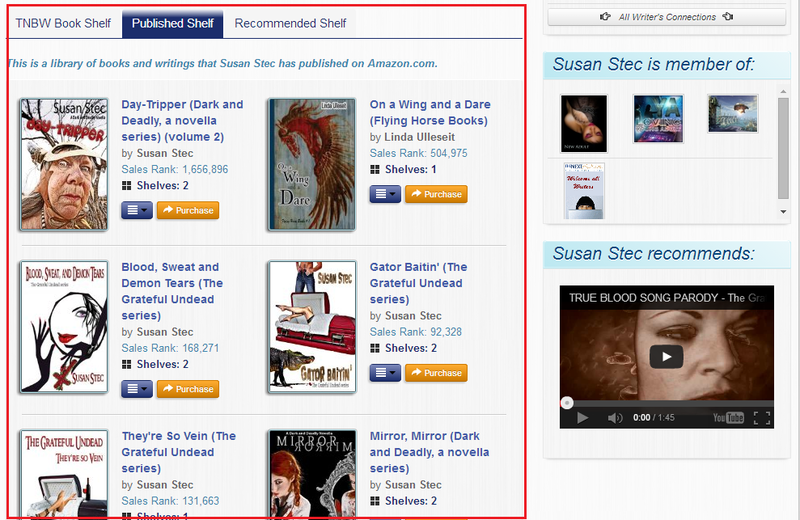 1 The book is added to your shelf tab as well as the homepage of your profile page. From here it is visible to readers who visit your page. If the book is on Amazon a link is provided so that it can be purchased directly from that site. 2 The book appears on the homepage of everyone you are connected to. This lets other members know that the book is available. If they Shelf the book then it will be seen by their connections. This can help the book quickly be seen by many potential readers as others decide to Shelf the book and it continues to propagate. a Go to the Published Shelf tab. You can find this by clicking on your name on the upper right of the main menu and then going to BookShelf on the drop-down. f Select that you want to put this on your Published shelf. This page was created in 0.1040 seconds.